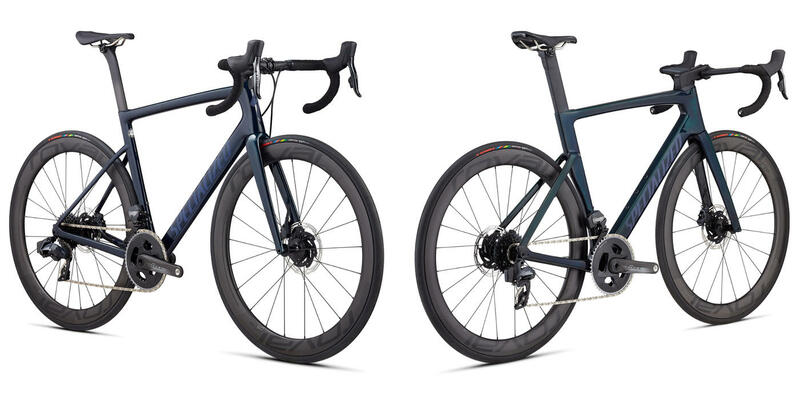 SRAM's latest addition to the AXS groupset family launched today, and Specialized have jumped straight in with some fantastic new additions to the Tarmac and Venge lineups. The Tarmac Disc Pro and Venge Pro models are now available with Force eTap AXS wireless electronic shifting. With these 2x12 groupsets the gaps between gears are kept to an absolute minimum, giving a wide gear range whilst enabling you to maintain a steady cadence whatever the terrain. 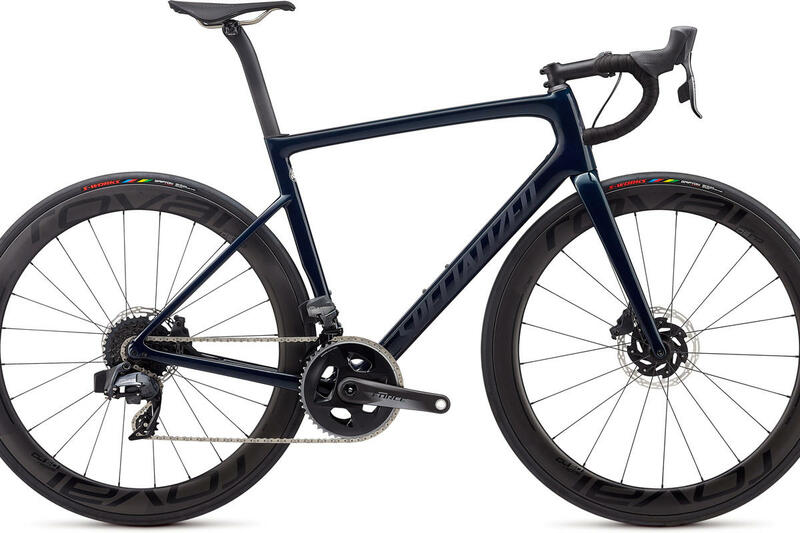 Better still, these new bikes are priced the same as their Di2-equipped counterparts in the Specialized range, so you're not paying a premium for this latest tech and extra functionality. They're available to order now, with the first stock expected around the end of April. If you're interested, get in touch with us now to reserve your bike (and book a bike fit, if you've not already had one with us) - they're likely to sell very fast! The Tarmac Pro (above) is priced at £6000 for the complete bike, and comes in this fantastic Gloss Teal Tint colour scheme with black reflective logos. As you'd expect from one of Specialized's "Pro" level bikes the build kit is very well specced, complete with Roval CL 50 carbon disc wheels and their own carbon bars and seatpost. Of course when you buy from us you'll receive a full bike fit as part of the purchase, and we'll swap whatever contact points are required to achieve the perfect fit, like-for-like, at no extra cost. The Venge Pro (below) comes in at £6500 and shares the Tarmac's colour scheme. Again you're getting a lot of bike for your money, including the brilliant Aerofly II carbon bars. Read more about Force AXS here and if you want to go for the absolute peak of performance race bikes, check out the AXS-equipped S-Works models here. SRAM's new Force eTAP AXS brings a whole new level of shifting to the road. Its 12-speed setup is not only crisp and extremely quiet, but with the help of a 10-tooth cog, it has a gear range unlike any other road group.